Unknown substances resulting/remaining from the most probable starting chemical precursors and their origins using chemical knowledge and various combinations of investigative analytical instrumentation methods. The most probable causes of malodorous VOCs (volatile organic compounds) in a residence originating from wood preservatives and microbial biosynthesis reactions following mold remediation using a combination of chemical disinfectants. 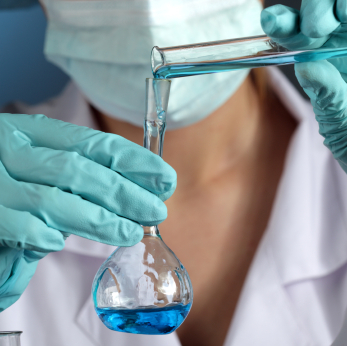 Analytical determination of unknown substances for the most probable starting chemical compounds using various combinations of analytical instrumentation methods. The accuracy and applicability of methodology utilized in the identification of manufacturer’s “tracers” added to brand name gasoline. Perform bench-scale presumptive spot tests to determine the presence of selected inorganic cations or anions, flammability, water/air reactivity, organic functional groups, solubility and corrosivity. Gerard Macri & Associates provide Scientific / Chemical Forensic Investigations, Examination/Analysis of Chemical Forensic Evidence, Analysis and Reconstruction of Chemical Reactions, Determination of Most Likely Chemical Reaction Products, Hazardous Chemical Reactions and Incompatible Chemical Mixtures, Causation of Chemical Fires, Explosions, and Exothermic Reactions, as well as Estimation of Chemical Airborne Concentrations. We also help with Chemical Overexposure from Consumer Products, Injury from Chemical Consumer Products, Chemical Product Defects and Manufacturer Liability, Chemical Characterization of Unknown Materials, Investigation of Soil, Groundwater, and Storm Water Contamination, Compliance with/Violations of Federal EPA and State Environmental Regulations.